Malcolm Dragon has started High School where he is approached by the self-styled supposed alpha male, Adrian Weatherspoon. The jock dubbed “The Spoon” attempts to mark his dominance over the young hero. Malcolm is bemused by the affair and promises not to rescue Spoon should a monster or some other threat ever attack the school, just so he does not make him feel inferior. Spoon reacts badly to the show of defiance in the younger student and demands that they fight one another immediately. Malcolm sees no point in continuing this confrontation and instead walks away from his fellow student. As Spoon heads off to claim a perceived victory over the “chicken” Malcolm, the Little Wise Guys and Darnell Washington state that they think he should have just knocked Spoon down. Malcolm points out that everybody knows that he could win a fight with ridiculous ease so the only thing using violence would accomplish would be to make him look like the bully instead. Tierra Jones and her friends witness this whole exchange and while Maxine thinks it would be great to date a superhero, Tierra has her reservations. She points out that numerous heroes’ loved ones have been killed over the years and she lives in fear every moment of her life that something might one day happen to either her or Malcolm. A bank robbery being committed by members of the Vicious Circle is foiled by OverLord as he bursts into the building. He continues his path to knock down FirePower but the villain’s partner is able to grab a hostage and threaten to kill her. OverLord does his best to convince the criminal to surrender to the authorities but when his words fall on deaf ears, he blasts his foe in the head. 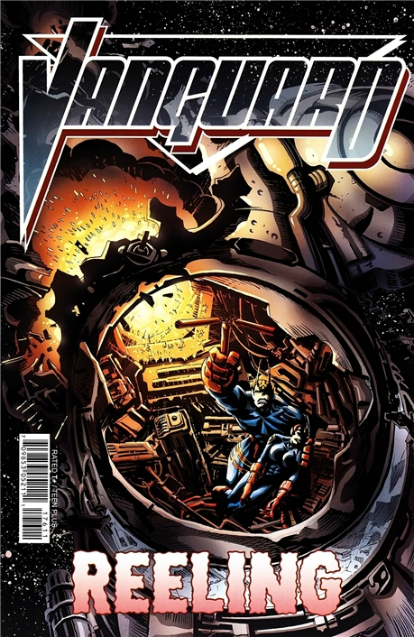 As OverLord moves to check on the safety of the woman he saved, she flees in terror from him. Angel Murphy undergoes a medical test at the hands of Ann Stevens as she has not yet fully recovered from the battle against the Absorbanoids. The alien creatures had drained her of muscle mass during the conflict and Angel remains in an emaciated state. Ann assures her that she will make a full recovery but just needs to time to put the weight back on. A relieved Angel is greeted by Frank Darling. She feels hideous in her current state but Frank reassures Angel that that is not the case and she remains the most beautiful girl in the world as far as he is concerned. As walks home with his friends from school, Malcolm notes that the Little Wise Guys do not appear to have aged since they were released from suspended animation. He notes how he has gone through numerous transformations over the past couple of years but they look no different. Their conversation is interrupted by Spoon who resumes his verbal barrage against Malcolm. He tries to aggravate Malcolm by teasing him about his heritage and mocking Dragon. The Little Wise Guys try to encourage Malcolm to take a shot at Spoon but those words are ignored. Spoon grows increasingly frustrated that his attempts to rile up Malcolm are failing and eventually punches him. Spoon instantly recoils in pain as his hand likely broke against the superhuman jaw of Malcolm, ending any further conflict. OverLord suddenly swoops down out of the sky to confront Malcolm. He declares that the war between super-freaks and humans must come to an end and only through the two of them working together could they accomplish this goal. Malcolm is quick to point out that OverLord attempted to kill his father, although the person actually blasted at that time was Virus in disguise as Dragon. OverLord tries to dismiss that act as self-defense and that they should move beyond the past for the good of them all. Malcolm has no intention of working with OverLord, especially as his “killing” of Dragon ultimately led to the emergence of Emperor Kurr and very nearly the end of the entire world. Malcolm strikes out at his would-be partner, acknowledging that it may not have been the smartest move for him to make. OverLord defends himself and announces that people are dying in the conflict between their people and normal humans. Malcolm’s refusal angers OverLord and he eventually snaps, declaring that if Malcolm is not going to join him then he must die. Their brutal fight soon destroys a number of houses in the neighborhood. Malcolm refuses to accept OverLord’s claims that super-freaks currently have no choice to turn to crime, stating that they are simply too lazy to attempt anything else. As the fight continues to rage on, Spoon recovers himself from his earlier injury and calls out to the two combatants. Spoon freely admits that he cannot stand Malcolm but it is OverLord whom he blames for the carnage. He points out the double-standards in OverLord’s motives, desiring peace whilst using lethal force to achieve his goals. OverLord ultimately opts to fly away to avoid any further destruction. Spoon takes a moment to mock Malcolm one last time and claims that he only got involved as they are in his neighborhood and he had no intention of standing by while his own house gets destroyed. The Kalyptan vessel closes in on Ganymede where the female warrior onboard is revealed to be Vanguard’s sister, Kazi. She talks to her two cadet companions about how great a hero her brother is, proved by his single-handed defeat of Universo. The Kalyptans can find no trace of any lifeforms on Ganymede but before any further investigation can be made; sensors detect the presence of a Tyrranean spaceship. Meanwhile, Vanguard watches the footage of his sister broadcasting her intention to rescue him from the predicament he had lied about via his false distress message. He instructs Wally to take their ship to intercept Kazi but they then detect the arrival of the Tyrrus Combine with a ship filled with Tyrraneans closing in on Kazi and her crew. Vanguard and his allies do not understand why the Tyrrus Combine has come towards Earth as they had been thought to have lost the war. The Tyrranean commander hopes to simply cripple the Kalyptan vessel so that he can kill its occupants personally. His craft blasts Kazi’s vessel but before it can close in on its prey, Vanguard’s battle cruiser de-cloaks behind it. The hero’s ship strikes the Tyrranean spacecraft and destroys it, seemingly killing everyone onboard. Wally detects three weak life signs aboard Kazi’s small craft and Vanguard teleports over to retrieve them. It is not long before Vanguard recovers the two cadets but he has to dig Kazi out of a pile of debris before returning home with her. Kazi passes away from her injuries and Vanguard mourns her death. 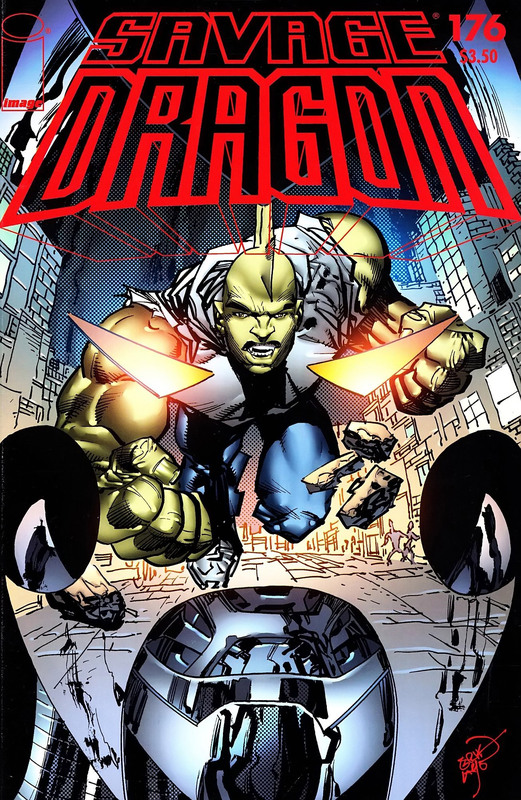 A transmission from Dragon is received where the hero asks that Vanguard help him make contact with his children to inform them of his survival. Wally comes up with a disturbing idea to have Lurch make contact with Kazi’s body. The Morphling takes on the form of Kazi and approaches Vanguard, informing him that Kalyptus has actually lost the war to the Tyrrus Combine. Kazi had come to Earth to ensure that her brother did not return to their home world and be killed like the other returning solders. Vanguard thanks Lurch for giving him an opportunity to say farewell to his sister before collapsing in a fit of grief to mourn Kazi’s death.